A lot of the information from this blog post came from an article in the October issue of Wired. The following is a condensed version of the full story; it’s worth it to read the whole thing. There is perhaps no company that has experienced the bumps on the road that come with building a new venture better than Tesla Motors, the company trying to reinvent the auto industry with its high-performance electric vehicles. When you look at the company’s roadmap to reach its current position, you realize those bumps are actually big potholes. Despite it all, they have persevered thanks to the ballsy maneuvering of the founder and CEO, Elon Musk, who has positioned this high-octane start-up to make the combustion engine a thing of the past. Tesla was founded in 2004 by Mr. Musk, the former co-founder of PayPal. After he cashed out his interest in the PayPal fortune, which equated to over $200-million according to the New York Times, he wanted to build something that would change the world. He focused his energy on three areas where he believed he could make the most impact and have the most fun: cars, rockets and energy. The result was Tesla, SpaceX and Solar City, which were all funded and built using Musk’s cash and connections. The business plan for Tesla was a simple three-step process. First, build a high-performance electric vehicle with a large price tag. Then, roll out a luxury sedan to compete with the BMWs of the world. Finally, produce an affordable electric car for the masses. Initially, the plan looked like it was perfectly on track. In 2007, when the economy was scorching hot and the environmental movement was in full force, people were buying both Tesla’s story and their cars. The likes of George Clooney, Leonardo Dicaprio and other stars were lining up with cash in hand to be among the first to ride around in the stylish Tesla Roadster (referred to as the Signature 100), for the cool price of $109,000. The problem for the company came after they had taken orders for the Roadster, and Musk and his fellow investors had poured in over $100 million. They realized that they had essentially been snowballed by the car’s manufacturers; originally the car was supposed to cost $65,000 to produce, but an internal audit revealed that the cost was actually $140,000. The essence of the problem was that they had to literally ship in all the parts and assemble the cars behind the company’s showroom in California. The result: a car so problem-laden it couldn’t be sold. By mid-2007 the company was in a state of disarray, which required Musk to shake up the executive team and inject another $20 million into the company. 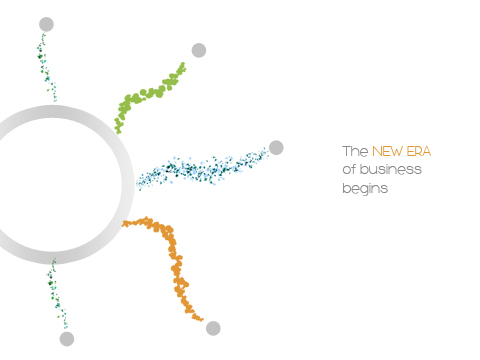 To get back on solid financial footing, the company changed its strategy. 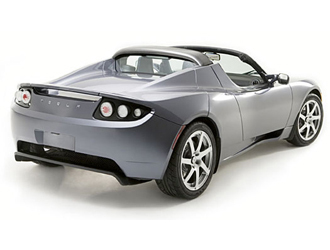 Their creation of a lithium-ion battery, which provided the juice to get the Roadster from 0 to 60 in less than four seconds, was a landmark achievement in the auto industry. The company knew that the major car companies, Daimler, GM and Toyota, were trying to build their own fleet of electric vehicles. To get some much needed cash, they focused on trying to sell Daimler on the benefits of their battery. In order to convince the Daimler execs their battery was the real deal, Musk took a page out of Preston Tucker’s playbook (there are some astounding similarities between the Tucker story and Tesla’s), asking his engineering team to rebuild the Tesla engine and put it into a Smart car. With just a six-week timeframe, the engineers worked around the clock to get the job done – and the Daimler execs were impressed. By 2008, the company appeared to be on solid footing. The design problems were worked out, production cost was $95,000 and the major players of the auto industry were warming up to the company’s achievements. Just when the company looked poised to raise a major round of capital from investors, the financial tsunami hit. Despite all its progress, the company was, again, in dire financial straits. For both Tesla and Musk, the moment of truth came in the fall of 2008. Musk had just $20-million left of his original PayPal fortune. He knew that much more was on the line than his own financial security; the birth of an electrical car revolution, which he believed the world desperately needed, hung in the balance. Despite the dire financial picture, Musk believed the company was inches away from securing a major contract with Daimler. With it all on line, the audacious entrepreneur made the bold decision to pump in his last $20-million as well as another $20-million from other investors. The move paid off. In 2009, the company secured a $40-million contract and $50-million investment (for 10 per cent of the company) from Daimler. Next, a $465-million dollar loan was secured with the U.S. government and later a $50-million dollar investment came from Toyota. By mid-2009, the company found themselves on solid footing once again. To bring the company a step closer to its goal of mass production, Musk arranged to purchase a sprawling 200-acre car factory in Fremont, California, off of Toyota for a bargain price of $42-million (the factory was valued at $1-billion pre-financial crisis). In 2010, the company went public on the Nasdaq and raised another $238-million. Despite the turnaround, it is obvious that the road ahead for Tesla will include more than a few hills to climb. But no matter what happens, the Tesla story provides enough inspiration for aspiring entrepreneurs around the world to make it all worthwhile. Every entrepreneur will have to dig deep and find another gear at some point during his or her journey, but it’s all worth it in the long run when you’re building something that has the potential to electrify the world. Literally. Elon Musk’s story is PayPal and Tesla, what’s yours? 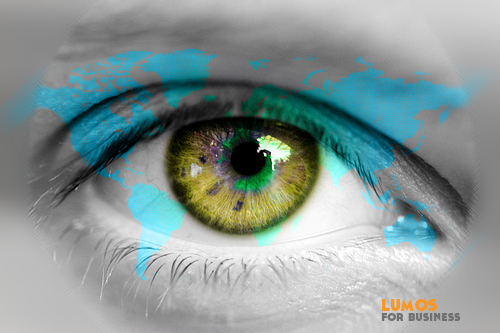 Read about our collaborative process or contact joel at lumosforbusiness dot com to see how Lumos For Business can help you shape your story.